Don't know where to find a handyman, housecleaner, carpet cleaner, electrician, plumber, mason, etc.? I'll give you a list of tradespeople I have used myself, or have had others recommend to me, in northern NJ to make it easier for you to get your home ready for the market spotlight. It's one of the ways I try to make your life a little easier during a stressful time. 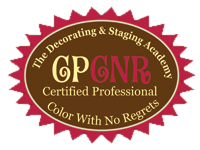 As a Staging Professional/Decorator, I get 10% discounts at many stores, such as Pottery Barn, Crate & Barrel, Pier 1, Ballard, and one of the furniture rental companies, that I pass on to you if you hire me to shop for you for staging items. For interior decorating projects, I pass along larger discounts (typically 20% to 30%) at the design centers.